The number of people killed or serious injured in drink-drive road accidents has reached a six-year-high, according to new figures from the Department for Transport (DfT). The DfT estimate that 8810 people were injured in road accidents when at least one driver or motorbike rider was over the drink-drive limit in 2016, a rise on the 8270 from the previous year, and the highest recorded number since 2012. There was also an estimated 230 drink-drive fatalities, a significant increase from the 170 recorded in 2015. The findings coincide with a study that suggests that the majority of drivers think they can get away with common motoring offences due to the decreasing number of police traffic officers. The number of traffic officers in the UK fell to just 2643 in 2017 down from 3766 in 2007. 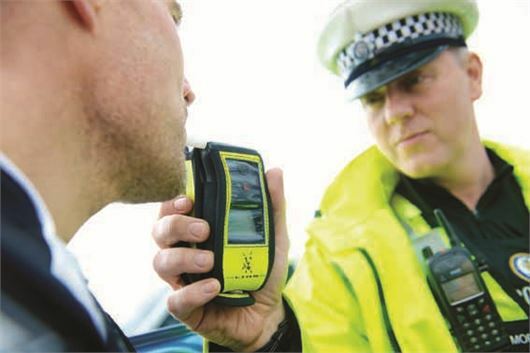 A drink-drive accident is recorded when someone is killed or injured on the road, where at least one of the drivers or riders involved has more than 100ml of alcohol on their breath (in England and Wales) or 22 micrograms (in Scotland). The data also includes those who refuse to give a sample of breath at either the roadside or police station. "While a final figure won’t be available for a number of months, the picture that emerges from the latest drink-drive statistics is a disturbing one," commented RAC road safety spokesman Pete Williams. “We repeat our plea to the Government to review the drink-drive limit in England and Wales – the limit in these parts of the UK is among the most forgiving of anywhere in Europe, which surely sends the wrong message to anyone who thinks about getting behind the wheel after having too much to drink." Road safety charity IAM RoadSmart has described the figures as “hugely disappointing” and reiterated its call for compulsory drink-drive re-education courses for all who are caught driving over the limit. The provisional estimate for 2016 is based on coroners’ and procurators’ fiscal reports for 27 per cent of the drivers or riders who were killed in road traffic accidents in 2016 in addition to breath tests taken at the scene. The final figure will be published in August 2018. Fully agree, Time to drop the Drink-Drive limit to at least the same as europe, and to ZERO for new drivers as in much of Europe. No point dropping the limit, far better to enforce the current limit. The only time you get breathalysed is when you have an accident which is too late. If there was a chance that you would be pulled over for a minor issue like a blown bulb and also breathalysed or subjected to a random stop and check then you would catch people before the accident and discourage more people from drinking and driving. But then we don't have enough police to do that. Yet another knee jerk reaction. The standard of driving in the UK has deteriorated vastly at the reduction of Police on our roads. The Politicians answer lower the alcohol level, it costs them nothing to do that, but does cost money to employ more Police. But if it is lowered there are no Police to enforce the law, so what's the point. The majority of drink drive convictions happen when involved in an accident.